Donâ€™t you just love the look of smoke and dust floating in a wasteland of the future? Sure, I may not want to live there but man does it make for some gorgeous visuals. 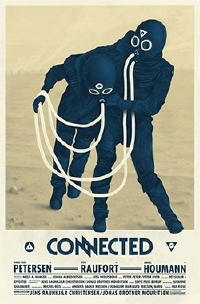 Take, for example, the look of Danish filmmakers Jens RaunkjÃ¦r Christensen and Jonas Drotner Mouritsenâ€™ short film Connected. This micro budget production looks anything but cheap and the visuals that the duo, along with their crew, have managed to create are pretty spectacular. Classified by the filmmakers as a â€œsci-fi western,â€ the micro teaser doesnâ€™t give you quite that much but thereâ€™s enough intrigue and awesomeness to make me curious.